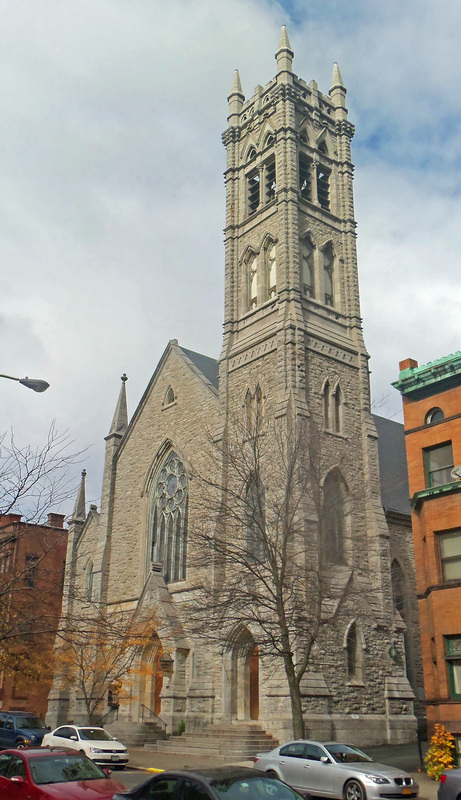 When you walk through the front doors of Emmanuel Baptist Church in downtown Albany, NY, it doesn’t take long to figure out that this is a Baptist church. When it was designed in 1869, the architect wanted to make sure that the baptismal pool was a central feature of the space. While most baptismal pools are placed in a corner and get covered over when not being used, the baptismal pool at Emmanuel stretches across the entire width of the chancel and is almost never covered. Surrounded by well-illuminated gold wallcoverings, your eye is quickly drawn to it. To make sure that everyone can see when a member of the church gets baptized, the pulpit was designed so that it could be lowered into the basement for a clear sight line of the baptismal pool, which is deep enough for full immersion of an adult. “Emmanuel Baptist Church is a place of great activity. It has been true to its covenant adopted in 1866 through the many generations that have gathered here for prayer, worship, fellowship, and community service. It has a diverse congregation, drawn from urban and suburban areas, challenging it to worship and work together to meet the needs of every age and economic background, as well as to provide a safe and welcoming home to the disadvantaged and the disenfranchised. That report, which included the mandate that the baptismal pool be maintained in a prominent and accessible space, was completed in 2001. The Needs Assessment was soon followed by a Master Plan. The first phase of that Master Plan, which included removal of all the historic chestnut pews to make room for the various uses of the sanctuary, was completed in 2007. As requested, despite all the changes, the baptismal pool kept its place of prominence. Sadly, until recently, it got very little use, as most of the members of the small congregation were already baptized. All that changed recently when a group of Burmese Baptists started sharing space with the current congregation. The Burmese Baptists are mostly younger and not all of them have been baptised. The first of what will hopefully be many more baptisms was held yesterday. 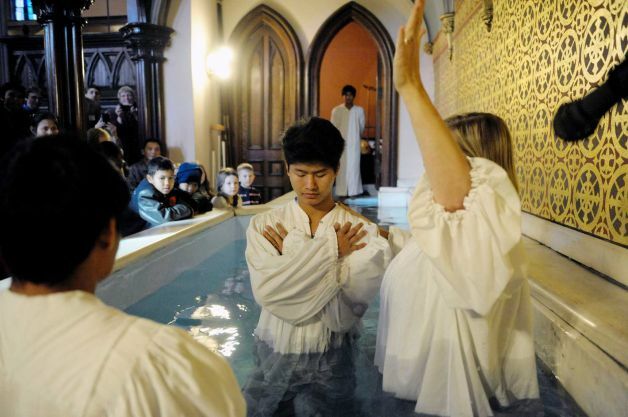 You can read all about it and see photos from the baptism in this article from the Times Union. Continuing on with the implementation of the Master Plan, we are currently working on the restoration of the exterior masonry and roofing. The church has put together a blog about this project, which is partially funded by a grant from Sacred Sites, a grant program of the New York Landmarks Conservancy. Applications for future grants can be submitted twice a year and are available at their website. If you would like me to assist you in this process, as I did with Emmanuel Baptist Church, please call or email me anytime.